Do you know what is comfort food in our house? Chili. 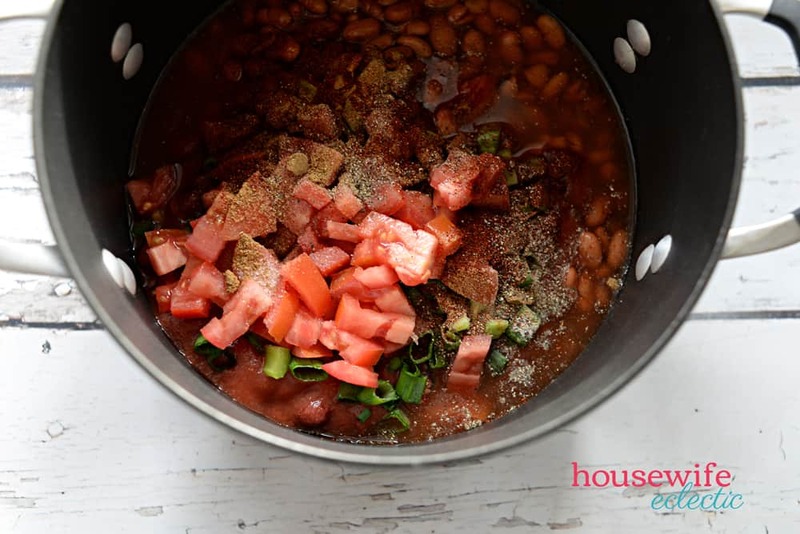 There is something about a big bowl of my mom’s chili topped with fresh toppings that just feels like home. 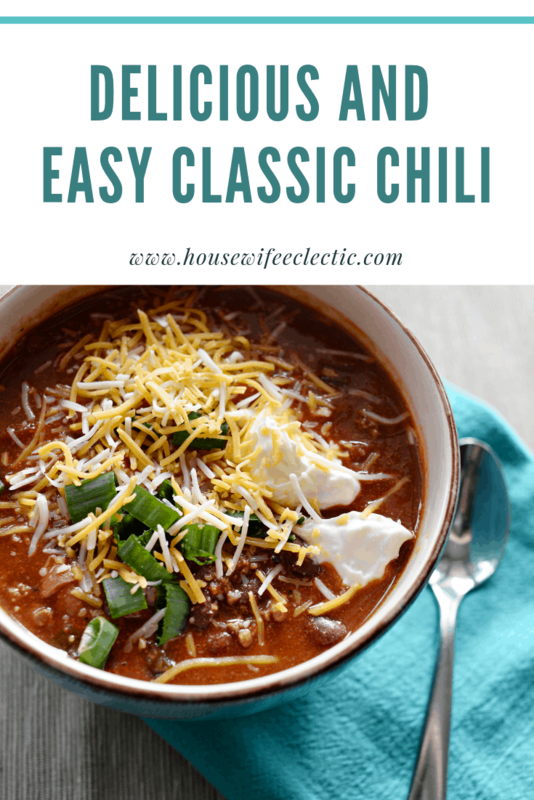 Over the years, we have changed my mom’s chili recipe just a little to make it easier to make and give it a little kick. The best part of this chili is just how fast it comes together. Of course, you are going to want to let it simmer on the stove for a while to really meld the flavors, but the actual preparation of the recipe is quick and easy. 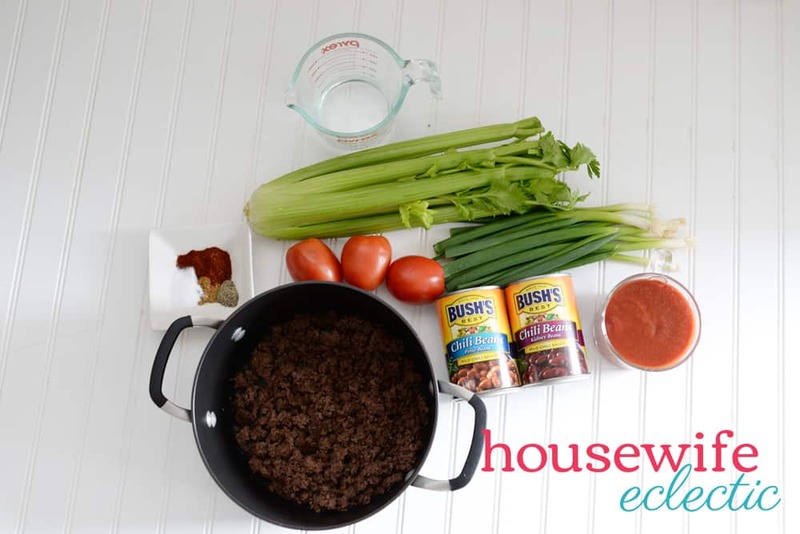 Cover the ground beef with the beans and tomato sauce and stir well. 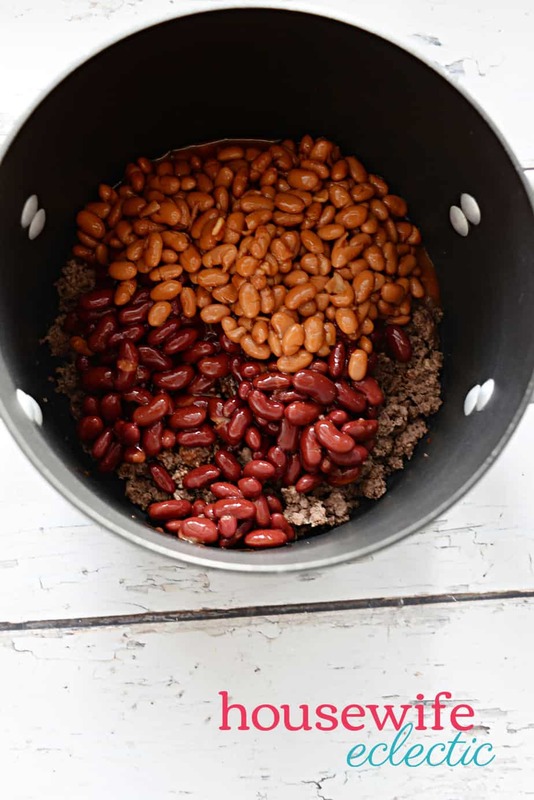 I love using BUSH’S Chili Beans because they are hearty and already slow simmered in their original chili sauces, which are made with a special blend of chilies, spices, garlic and onions, so it makes it so easy to add even more great chili flavor to your chili. Add the rest of the ingredients and stir the chili well. Bring to a boil and then reduce to a simmer. Cook for an hour and a half to three hours, stirring every 15 minutes. Three hours might seem like a long time, but trust me, there is nothing better than slow-simmered chili. Want a spicier chili? 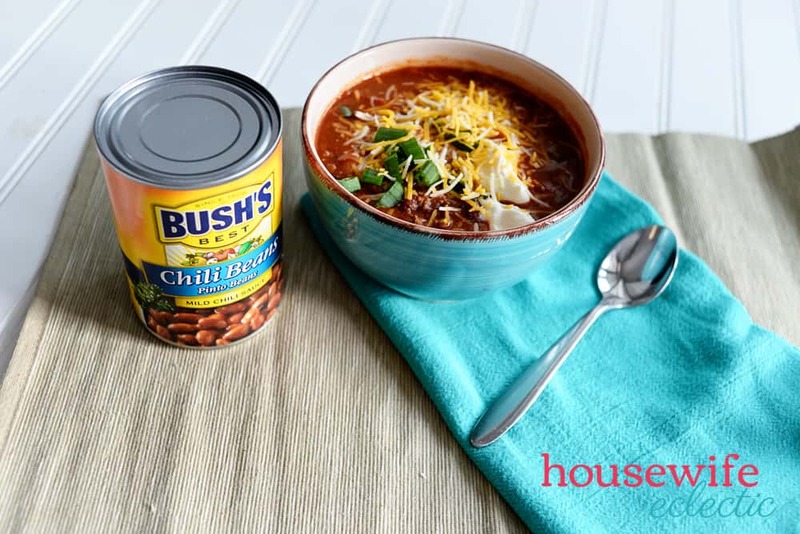 Use spicier cans of BUSH’S® Chili Beans. We usually go for the pinto and kidney beans in mild sauce, but if you like your chili super spicy, pick up the beans in hot sauce instead. BUSH’S® Chili Beans come in pinto, kidney, black, white, red or mixed beans with mild, medium or hot sauce. 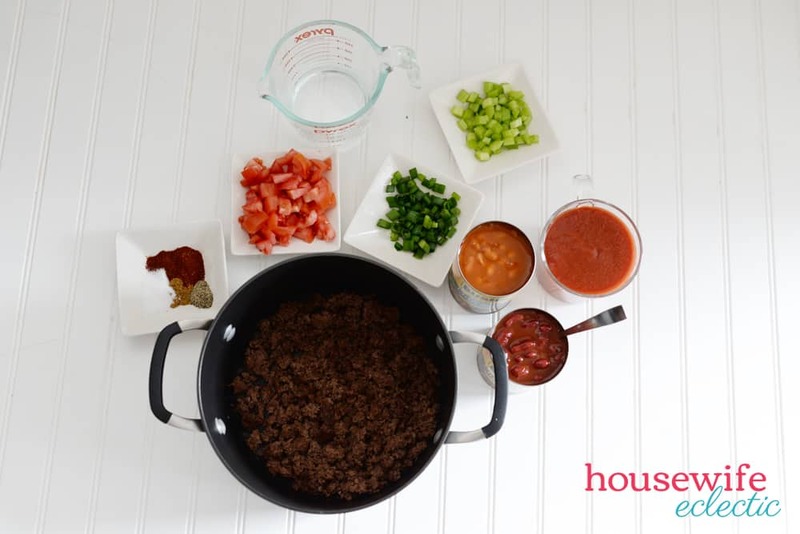 I love all of the variations and flavors which makes it easy to find the perfect chili combination for your family. 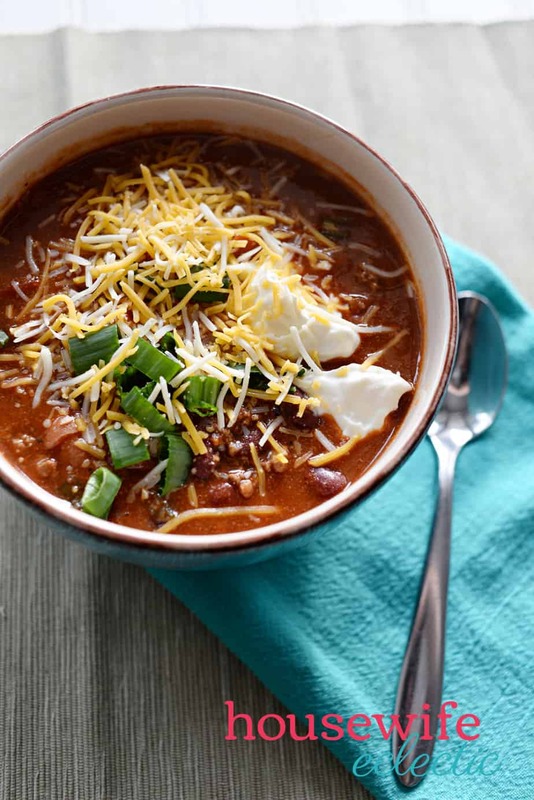 Once your chili is done, top with cheese, green onions, and sour cream for the perfect bowl of chili. Right now you can make this recipe and save! Save one dollar when you buy any two cans of Bush’s BUSH’S® Chili Beans with the coupon below. The coupon is redeemable at Walmart and is available while supplies last. You can also enter to win a $50 Walmart gift card to use with your coupon. Head over to the Walmart Page on Savings.com to enter. The giveaway is open from Monday, February 18, at 12:00 AM PT to Friday, February 22, at 11:59 PM PT.